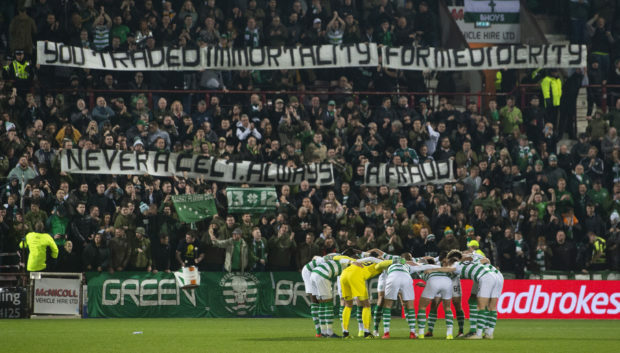 The backlash towards Brendan Rodgers from the Celtic supporters, while understandable to a degree, has gone way over the top. There needs to be a sense of realism about the whole situation. With the greatest respect to Scottish football, being involved at the highest level in England is where most people want to be. Leicester City came calling for Brendan, and played it by the book. They agreed millions of pounds in compensation with the Parkhead hierarchy, which cleared the way for Brendan to speak in-depth to the City officials. Brendan got the package he was after, and a deal was struck. Movement is part and parcel of the game, both for managers and players. But I accept that the timing from Brendan was a wee bit off. The ideal scenario for him, Celtic and the Celtic supporters, would have been to stay until the end of the season and walk away with the treble Treble in the bag. A parting of the ways at that stage would have been amicable, and the Irishman could not have been criticised. We do not, however, live in a perfect world. Things unfolded as they did, and many Celtic fans were outraged and critical of Brendan’s apparent lack of loyalty. He, however, would not have wanted to risk losing the opportunity to get back to the top flight in England. After sacking Claude Puel last Sunday, Leicester City wanted their preferred candidate in right away. Rodgers has confirmed he was told that if he didn’t agree to come immediately, the offer would be removed from the table and they would turn their attention to another candidate. So that forced the then Celtic manager into the quick decision. At the end of the day, Leicester City needed to be loyal to their own, and couldn’t take Celtic’s feelings, or those of the club’s supporters, into account. Brendan had worked in the EPL before, and being involved in the game in England – with all its talent, coverage and wealth – makes it a huge attraction. He will feel he is well-equipped and ready to make a real impact at Leicester City. Make no mistake, it’s a huge step up from the Scottish Premiership. That’s not being disrespectful, just realistic. And I happen to think that the level of this job is just about right for Brendan. I don’t think he would have been on the radar of the top six clubs – Liverpool, Manchester City, Manchester United, Chelsea, Arsenal and Tottenham. For political reasons, you could probably add Everton to that list as he used to manage at Anfield. Don’t get me wrong, I’m not for one minute saying that the success he achieved at Celtic in the past 32 months wasn’t first-class. It was, absolutely. Domestically, you could not have asked for more. But, rightly or wrongly, in the eyes of most people in England, success in Scottish competition doesn’t receive much recognition. That’s why the likes of Arsenal went for Unai Emery last summer to replace Arsene Wenger, and not Rodgers. Emery had wonderful success at Sevilla – winning three Europa Leagues – worked successfully in Russia, then won silverware with PSG. That’s the kind of calibre and CV that the top clubs look for when assessing candidates. Men who have operated at a higher level than Scotland, and have a greater pedigree. Overall, Brendan was first class for Celtic, and has left them in an excellent position, still well on course for eight-in-a-row and another Scottish Cup. Yes, the fans are upset. But Brendan may well take that as a compliment that they are hurting at losing someone of his quality. Celtic moved quickly to replace him with a fine manager in Neil Lennon, and he has inherited a good situation. Many managers go into a new job needing to firefight, and pull a club up from its knees. Not so on this occasion, and that’s why Neil had a smile as wide as the Clyde on Wednesday morning when he spoke about his return to Celtic Park, albeit only until the end of the season when the situation will be reviewed. Neil knows Celtic inside out and plays open and attractive football. But, when circumstances dictate, he also knows when to change it – to be more rugged and aggressive at the back – and that’s a good thing. Neil got an excellent victory away to Hearts on Wednesday night to keep the eight-point gap to Rangers intact. To do so with a dramatic stoppage-time winner made it all the more dramatic. Neil knows that Rangers are in fine form, unlikely to go away and will stay on Celtic’s tail for the next few weeks. That’s why total concentration and focus is vital. The other plus point for Neil and Celtic is that Scott Brown is still there. Neil had him as his captain during his first spell from 2010 until 2014 and he really brought the best out of the midfielder. There is clearly mutual respect there, and you could see from his performance at Tynecastle just how hungry Scott is to keep delivering success. He is fully motivated and committed. Neil will not want to rip up what he has inherited from Brendan. But he is likely to want to tinker with one or two things. That is only right. Every manager needs to put his own stamp on things, especially when you only have the job for a short period of time and looking to impress to land it longer term. If he goes on to lead Celtic to the Championship in May, he deserves all the credit going. It would be unfair on Neil to give most of the plaudits to the guy who has just left. Whether Neil lands the job on a permanent basis remains to be seen. But winning the title will put him in pole position, I would imagine. He started off the current run of league successes by leading the club to three successive league titles. Many would feel it would fitting for him to be at the helm as they go for eight and beyond.